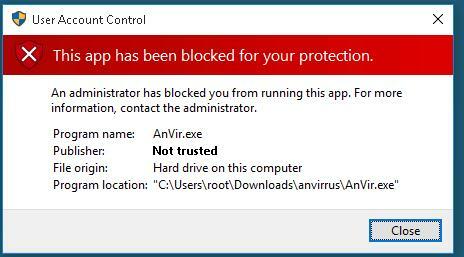 Many users have noticed that when running or installing some programs in Windows 10, “This App has been Blocked for Your Protection” error pops up and prevents normal running or installing the applications. Thus, even a user with local administrator privileges cannot run or install such applications. The error “This publisher has been blocked from running software on your machine” can also appear. This Windows 10 protection measure built in the User Account Control (UAC) system blocks running/installing applications with an expired or revoked digital signature (one can make sure by opening Digital Signatures tab in the executable properties). You can try to delete the digital signature of a setup file (for example, using a third party FileUnsigner utility). As far as it is the UAC system that blocks running an application, it can be temporarily turned off. Important. The UAC is an important computer protection subsystem, that is why UAC can only be turned off on a temporary basis. After the application is installed, go back to standard UAC settings. UAC can be turned off using group policies. 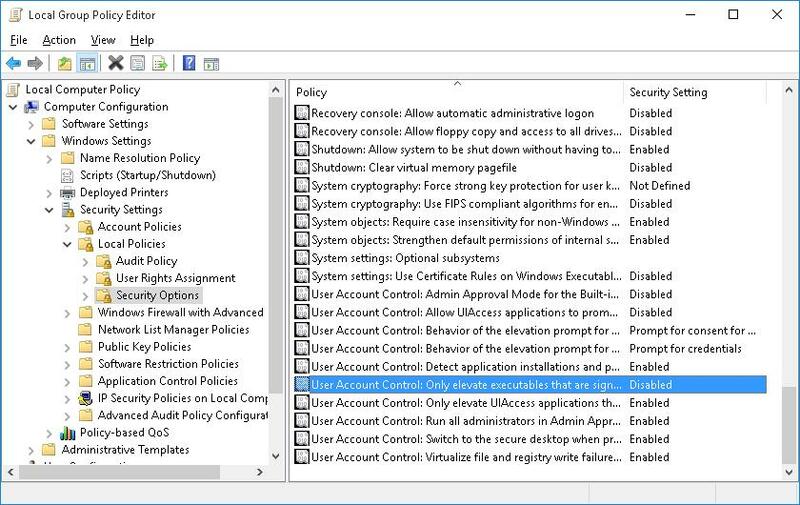 UAC policies are in GPO Windows Settings->Secutiry Settings -> Security Options section. The names of the UAC policies start from User Account Control. Try to install the blocked application. In case of success, turn UAC on by setting EnableLUA value to 1. This problem occurs most of the time in windows 10.